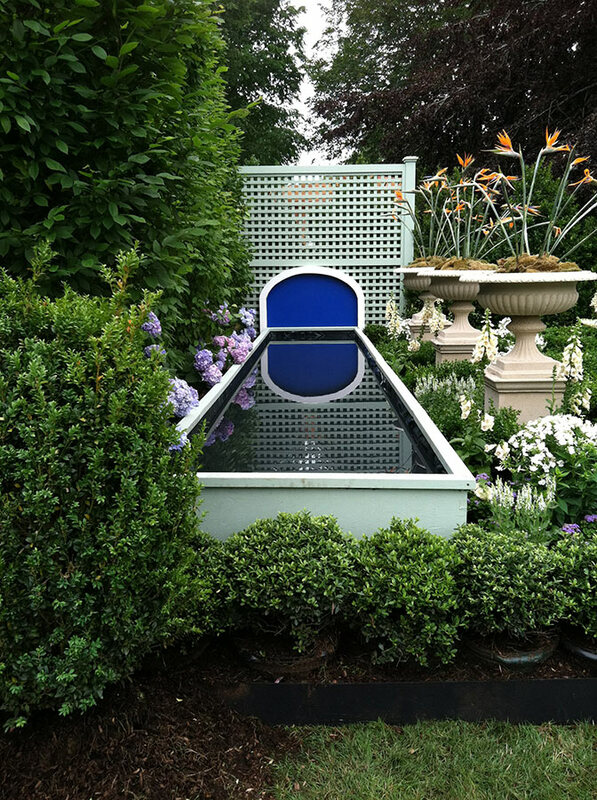 Newport Flower Show - HALI BECKMAN, Ltd.
HALI BECKMAN, LTD. of Wickford, in collaboration with DaPonte’s Landscaping Services of Bristol, garnered the 2nd place award at the 16th annual Newport Flower Show, sponsored by the Preservation Society of Newport, held at Rosecliff. 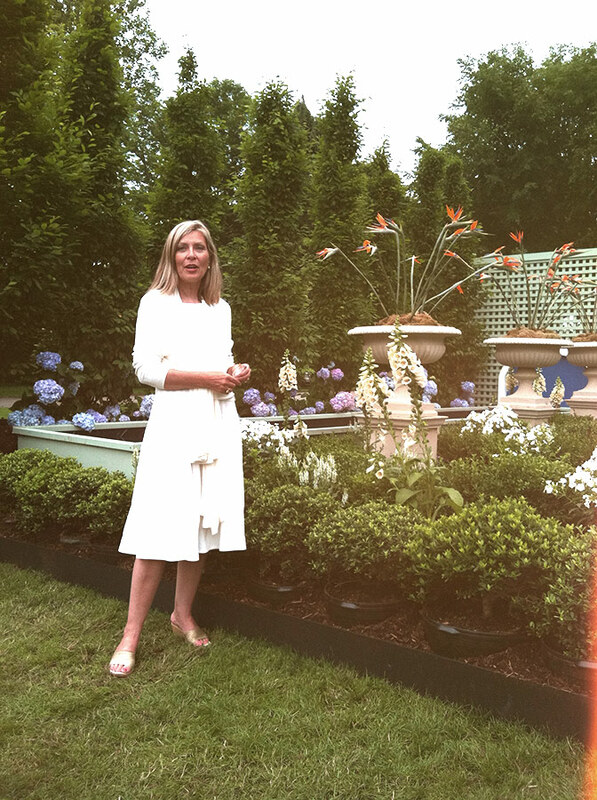 HALI BECKMAN, LTD. and DaPonte’s created “Le Jardin Bleu de Caisse de Panier” garden. 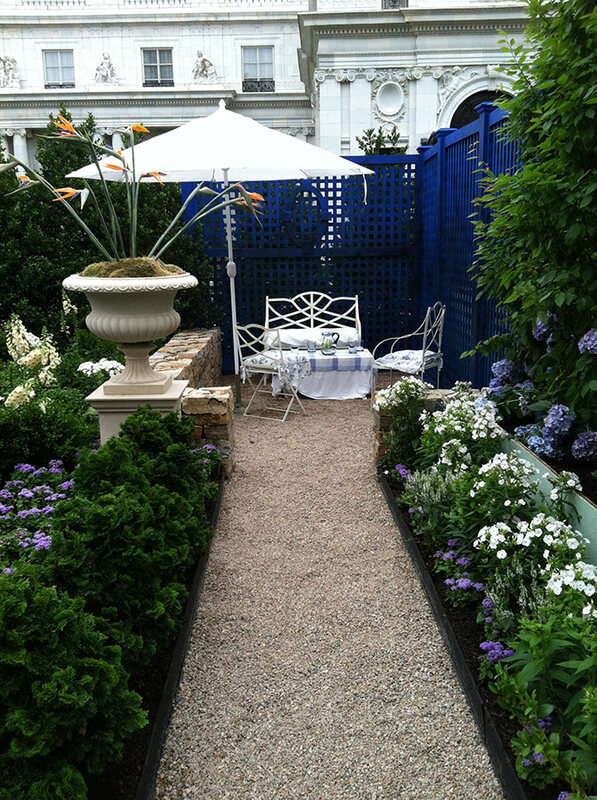 The judges hailed the basket-weave design as a “beautifully classic interpretation…of the Olmsted Blue Garden.” While honoring its classic heritage, the garden incorporated touches of modern elegance.